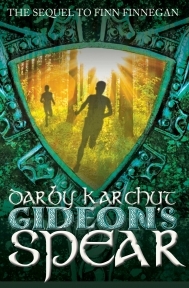 Darby Karchut is the author of the Spencer Hill Middle Grade series THE ADVENTURES OF FINN MacCULLEN. We tied her down recently and made her give us the scoop on what it’s like to be a writer. SHPMG: Tell us a little bit about yourself. While I do run cross country a lot (as well as mountain biking, skiing, and mountaineering), the marathon seemed like too much of a commitment, so, I went with the book thing. I know. I KNOW! What was I thinking? Five years later, I’m wrapping up my 14th book. And, until last spring, I also taught social studies at a junior high school here in Colorado Springs, where I live with my husband. Nope, no kids. What do I write? Mostly middle grade adventure fantasy, young adult urban fantasy, and under the pen name of Darby Kaye, urban fantasy for adults. write? 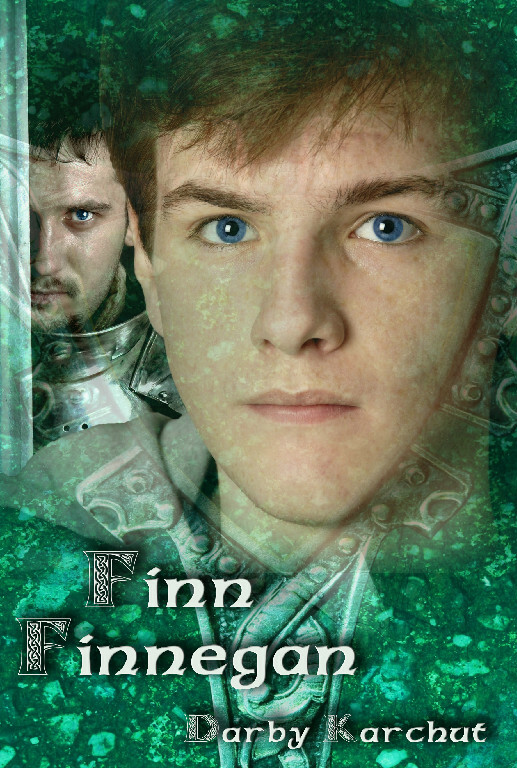 What can readers expect from THE ADVENTUERS OF FINN MacCULLEN series? 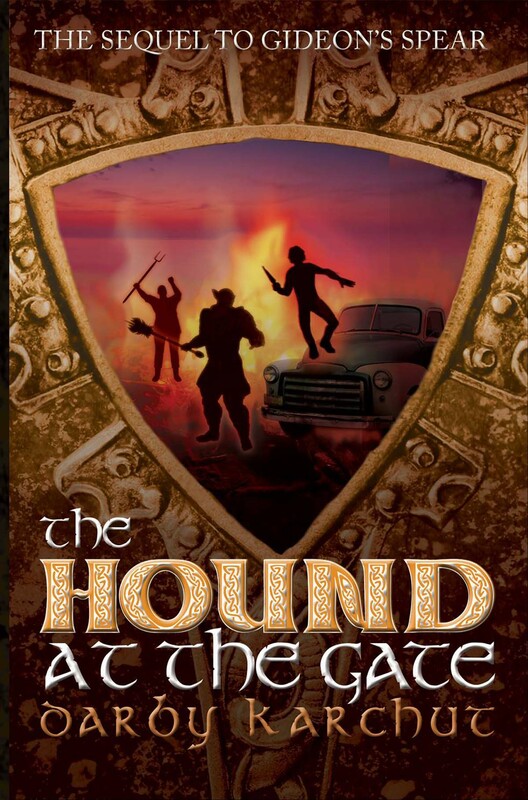 DK: Based on Celtic mythology, but set in a suburban neighborhood in modern-day Colorado, this series is a coming-of-age tale full of adventure and monster hunting. But the heart and soul of the series is the father and son relationship forged between apprentice monster-hunter, Finn MacCullen, and his gruff, but affectionate master, the Knight, Gideon Lir. Readers of the series will find both young teen and adult heroes and heroines to cheer for. SHPMG: What character did you love or hate the most while writing? DK: Gideon Lir. The guy is a blend of chivalrous Knight, fierce Celtic warrior, and a father figure to his apprentice. True, he’s not perfect – he’s got a bit o’ the famous Irish temper. But, when push gets knocked on its tush by shove, Gideon Lir is the guy I would want at my back in any situation. Since the series is told from the viewpoints of dual protagonists (Finn and Gideon), watching both of them grow as characters is a delight. SHPMG: What do you consider the most challenging part of the writing process? And how do you overcome it? DK: The first draft. Oh, how I detest the first draft. I’ve tried elaborate plotting. I’ve tried just winging it. I’ve tried everything in between. But, the first draft is a bloodletting for me. I think it’s because Demon Failure sits on my shoulder the entire time, whispering in my ear that all my other novels were a fluke, and that I really don’t have what it takes to finish a book. But writing a book is a lot like running uphill. You put your head down and concentrate on a steady stride; a pace you can maintain the entire distance. Telling yourself that the only way to reach the top is one step after another. One word after another. Sure, sometimes, you have to slow down, or even walk, but you keep going. And then, finally, you reach the top of the hill. The end of the book. Repeat for the next hill/book. And the next. SHPMG: What is the greatest lesson you’ve learned, thus far, in your writing career? DK: Keep reading. Reading is what first got me into writing, and reading is still something I do a few hours each evening before bed. I read everything, but I read in my genre the most. Reading great middle grade books is one of the best ways to improve my craft. And while I may give up writing some day, I will never give up reading. SHPMG: What are your passions when you’re not writing? As I mentioned before, I love the Colorado lifestyle – running, skiing, biking, hiking, backpacking, climbing, and I have recently gotten into stand up paddle boarding and yoga. (Not at the same time. Yet.) I also read a lot. I used to knit. Gave it up. Don’t know why. Oh, wait, I do know why. 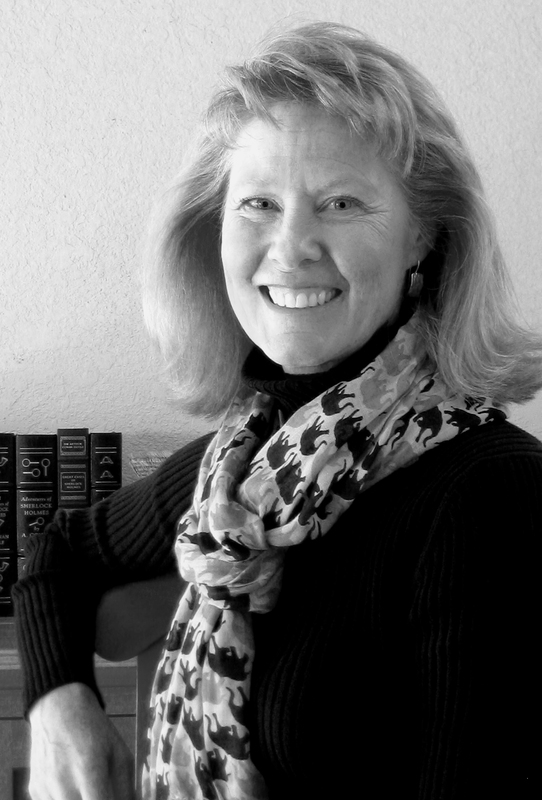 You can also find out more about the author on her author page. Barnes & Noble, Amazon, and at independent bookstore everywhere. 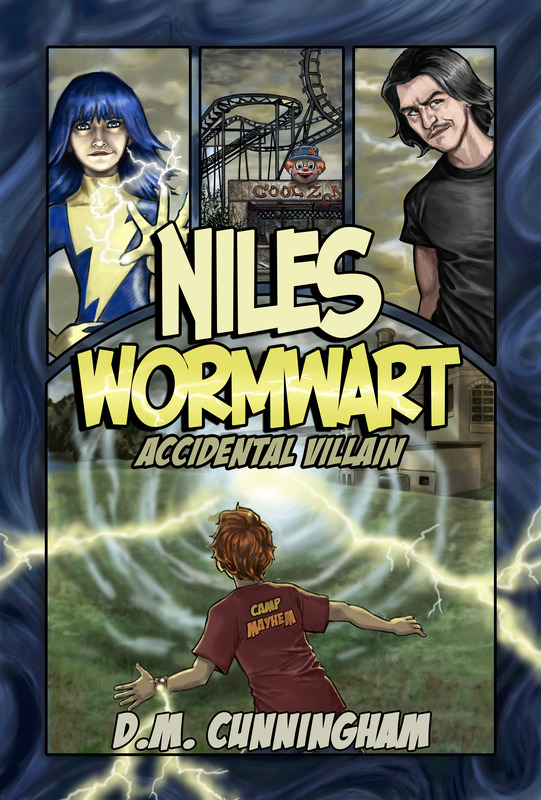 Happy Book Birthday to Niles Wormwart, Accidental Villain! Plus an interview with the author! This month’s release is Niles Wormwart, Accidental Villain by D.M. Cunningham. In the science fair world of ketchup-spewing volcanoes and potato clocks, one boy, Niles Wormwart, plans to alter the history of science fairs with his time travel wristwatch based on Nicola Tesla’s work. Unfortunately, history has different plans for Niles. After Niles blows up his school’s science wing with his project, his father, deciding his son needs to man up, make some friends, and take a break from his constant experiments, sends unsuspecting Niles off to the mysterious Camp Mayhem. The only problem is that Niles’ father thinks it’s a role-playing camp. Well, it’s not. Headed up by the ominous Red Czechmark, Camp Mayhem is ground zero for training the future villains of today. A place for real kids to realize the real villain inside them. Niles sharpens his focus on escaping the camp while everyone inside wants him to sharpen his focus on discovering his own dark powers. There’s a sinister plot brewing, and Niles is dead in the middle of it. Thrust into a world he only thought existed in comic books. Niles discovers his true potential inside the walls of Camp Mayhem-the potential to become the darkest of evils or stay true to his good-hearted roots. SHPMG: What inspired you to write NILES WORMWART: ACCIDENTAL VILLAIN? A culmination of so many things. I think staying out of jail was the first thing. Because if I didn’t right books I would have to be a villain and that’s no good for anyone. Especially me. I don’t do good in small spaces for long periods of times. Plus I heard the coffee in jail is no good. SHPMG: In NILES WORMWART, our hero is sent to a camp for villains. Are you secretly (or not so secretly) a villain? It’s NO secret, I am a villain. Which totally contradicts the first question you asked me. Which is what a great villain does. I said no, then WHAP, cold fish slap out of nowhere. Full mastery of distraction. Oh hey look over there it’s a turtle wearing a sweater! (That’s where turtle neck sweater came from – just in case you didn’t know that). SHPMG: What’s your writing process like? Do you plot everything ahead of time, or just let the words flow? Hold on, let me process this question…. Okay. First thing I do is watch and read and listen to everything that inspires me toward the new story I am about to write. Then I totally rip it off (score one for the villain!). Ahem, I’m only kidding about that part. I sit for days and let it marinate. I only recently started really outlining in great detail. I was much looser early on. Like a 70s disco queen (can I say that?) I spend a lot of time on the outline, massaging it, looking for holes in the story and so on. Then I write like a mad cow and vomit out that first draft. THEN I realize that I completely abandoned my outline because the characters took me somewhere else. SHPMG: What sort of reader would enjoy NILES WORMWART? Only people who love awesome books and pumpkin flavored anything. If you like Oxen you’ll like this book up to a certain point. I don’t think this book is for everyone, because if it was… J.K. Rowling would be serving me soup. Nikola Tesla would love this book. I’m thinking of using that watch of his to jump through a wormhole and give him a copy and rewrite all the Harry Potter books to be Niles Wormwart. SHPMG: What’s next for you as a writer? I was thinking of walking to the coffee shop and getting a latte. Want to join me? Oh, wait, that’s probably not what you meant. I’m working on a middle grade horror. I told my super amazing agent Bree Ogden the story line and her head exploded. Figuratively, not literally. Because if that did happen I would have to look for a new agent. And we know what a task that is! Want to learn about the inspiration for Niles Wormwart? Click here! Get to know the author by visiting his author page.